Cackle Christmas Ornaments Set of 2. Free Shipping! Cackle Christmas Ornaments- Set of 2. One of each ornaments. Chick Season™ is just a few months away but the Christmas season is here! Bring the joy of the holiday season home with these beautiful ceramic egg ornaments that offer a touch of whimsy and holiday merriment. 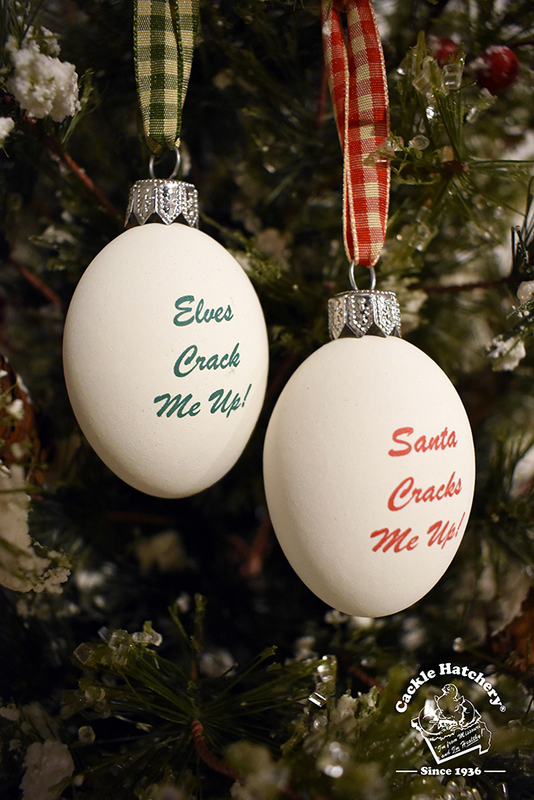 This pair of egg ornaments offered exclusively from Cackle Hatchery® elegantly displays expressions that are sure to “crack” a smile! 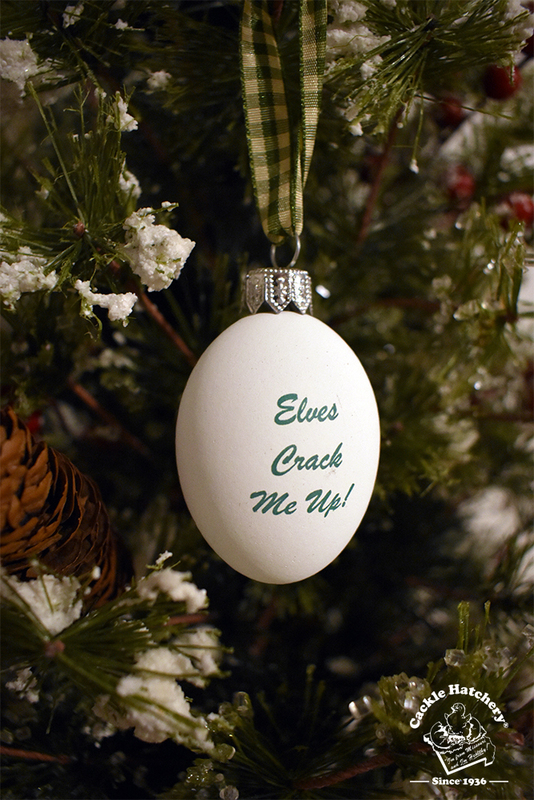 “Santa Cracks Me Up!” and “Elves Crack Me Up!” Each egg is adorned with beautiful country themed red or green ribbon for hanging on your tree. Cackle Christmas Ornaments are the perfect way to bring your love and appreciation for chickens, and the eggs they lay, into your home for this holiday season and for many more to come. 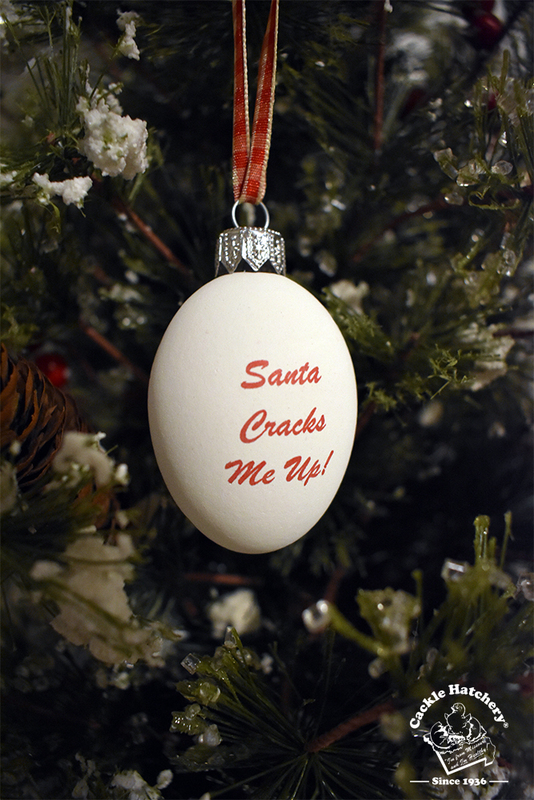 Limited quantity so be sure to order your Cackle Christmas Ornaments today!